i grew up in a household full of babies of the family. my mom is the younger of two, my dad is the youngest of nine and of course, my little sister, the youngest in our family. now imagine this, you're the only over-achieving, striving, earnest, responsible member of your family and you're surrounded by irresponsible rebels who think there are no rules to life. there are five and a half years between me and my sister. this means a couple of things. one, i got good and used to being an only child by the time she came along (and no one asked me, by the way--i'd have preferred to have a goat had i been asked, which may be why i wasn't asked). secondly, i broke our parents in and paved the way for her, so things were smooth and easy when she came along. since it was a family of littlest siblings, there weren't that many rules in our household. i had just the one, "win or don't come home." which suited me, since i was the eldest. my sister also had one rule. but her rule was "no pot in the living room." fine to keep your pot elsewhere in the house, but just not in the living room. and by pot, i do mean marijuana, weed, ganga. that stuff. tho' i don't think she actually had any in high school. that wasn't 'til later, in college. although i got my driver's license at 14, i always had to rely on using the family car or the old brown pickup when it was available. i never had my own car, not until i graduated from high school and got a little green mustang that we called iggy. of course, things were different for my sister....much different. at the age of 12 (i already alluded to this in my driver's license post), she was home alone, playing with a friend. dad's old blue chevette was home and my sister, who was freakishly short for a 12-year-old, decided to give her friend a ride home despite the fact that she had never before driven and could hardly see over the steering wheel. she'd been in the car four years previously during my driving lessons and thought, "how hard can it be to drive a stick?" there was a back way to the friend's house, down gravel roads, so she decided it would be fine to just run her friend home. they hopped in the chevette and headed down the gravel road. they must have gotten up quite some speed by the time they came to a little artificial hill in the road, created by the old railroad tracks. they hit that bump going way too fast, slid on the loose gravel and flew into the steep ditch. shaken, but unharmed, they hiked a mile across a field, directly to her friend's house. the friend's mom was pretty alarmed and located my dad on the golf course, telling him breathlessly that "the girls are ok."
dad finished his round of golf and went and picked up my sister and she recalls what happened as the most severe lecture she ever got. but all he did was put his hand on her knee and say, "monique. monique. monique." in a grave voice. and that was the end of it. it didn't matter that the radiator was knocked clean through the engine and the car was basically totaled. there were no repercussions. no grounding. no punishment whatsoever. she was at an out-of-town football game three nights later with a gaggle of her friends. i was stunned. when she got her license at 14, they bought her a little brown station wagon. her own car. no humiliating waiting out front of the school for mom to arrive and pick her up in the old brown pickup. no, no, she had her own car. she could fit half a dozen other kids in it and drive across the river and drive in and out of ditches in the snow for the sheer joy of it. she would announce, "i've got tickets for a poison concert in the big town on tuesday and me and the gang are going over there and i'm driving." and do you think that anyone batted an eye that it was a school night? or that there was a blizzard raging? nope. not at all as long as she kept her pot out of the living room. and although i didn't try to do any of those things...i wouldn't even have DREAMED of ASKING, let alone done that...i undoubtedly paved the way for her. warmed the parents up so they were more pliable to her whims. or maybe they were that lenient all along and i should have been more daring. but i didn't even try. because i was the oldest. the responsible, over-achieving one. it's hard being the oldest. My boys are 5 years apart and reading this I see that I did exactly what your parents did. I've always felt bad for Davide - like I cut my parenting teeth on him. On the bright side, look at all that fabulous character you built being the first! Yup. You never ever stop a round of golf for anything, for anything, except for thunder and lightning. And clearly a car accident is not thunder nor lightning. Also, I'm the oldest. Bet you couldn't tell. That did make me laugh ...I'm also a responsible one ...often wishing that I was a rebel instead! Oh, BTW, I haven't been around for a while, congrats on being a blog of note! As one oldest child to another, you're absolutely right! My little sister (eight years younger) got a car and practically everything she wanted. Then again, she's still living in the same small town where we grew up and has little curiosity about the world. Sigh. so did you at least get a "thank you"? i´m also the oldest and can totally relate. happy weekend! I had no siblings and life as a child was similar to life in a juvenile prison. Scrutiny, sanctions, control and discipline. Thank god we can grow up and leave home. Ah...so that's why my brother got away with EVERYTHING. I must have inadvertently worn my parents down, what with all the pot and the older boys and the tantrums. I suppose they'd just given up by the time my brother came along. Only he was too boring to really get into any real trouble. The worst he ever did was nearly burn the shed down in the process of burning ants with a magnifying glass. Right next to cans of gasoline for the lawn mower. I soooo feel this as I'm the oldest too. And I'm sure the younger ones felt some resentment as I was a measuring stick for behavior that they resented. oh, this is sooooo true. Im the middle child of 6 and I reaped all the benefits! I got the advantages from the older ones, and I still was younger and they expected less from me, so I reaped the benefits of being "younger" without being "youngest", who dont get any of the "big kid" stuff. This family order stuff has some truth to it. I'm the firstborn, too. Nor did I get a vote on the acquisition of my brother, born a little over five years later. 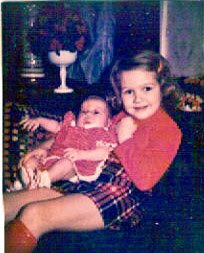 But when my parents adopted my youngest brother, when I was fifteen, we were interviewed by the adoption social worker. She asked whether I wanted a brother or sister and I said I didn't have a preference. When my brother was asked, he said "I think I'd really rather have a horse." And yes, my parents were more lax with my brothers but I figured it was because I was a girl and they were boys. I will admit that I got a little more relaxed with each of my three and my middle child thinks the youngest had things too easy. Must be a universal complaint from older children. Ah this is fantastic stuff...I think it was the 'Monique, Monique' that got me. Meanwhile were you stomping around inwardly seething? I'm an only, but my parents were pretty relaxed. I dont' understand sibling relationships but watching it unfold before me is a very interesting part of parenthood. My boys are very close in age, I hope there won't be too much of the 'paving the way' issue going on. Who knows though. I'm an oldest, and both of my parents are too . . . we watched in AWE as my younger brother swished nonchalantly through life. I was an oldest in a house of oldests (both parents are oldests) so my younger sister FREAKED them out, and they decided to manage that by making her my responsibility. We're 4.5 years apart and both paying for that. I could easily relate to your "no pot in the living room" metaphor. hoo boy! yup! relating here too! oldest of 4. and add Catholic school to the mix. I was the oldest of 3. In the 11th grade I had a D going on in Chemistry. The only bad grade I had ever gotten. Ever! I was grounded for a full month. I waited that full month out without waver. No telephone, no boyfriend, no friends, nothing. My sister, 3 years younger than me, was caught at the age of 14 (8th or 9th) having a big drinking party in the woods across from my house. She was so drunk she actually had alcohol poisoning!! Mom and dad found out because the other kids had to bring her over to the house claiming she must have the flu or something; mom found alcohol lids in sis's pants pocket. Sis was grounded for one month....yeah right. After almost two weeks she was on the phone making plans for the movies that weekend!!! I confronted my parents. "You were not grounded." THEY DID NOT EVEN REMEMBER I WAS GROUNDED FOR THE MONTH!! Younger sibs definitely have it much much easier! Hhahaha, thank you for bringing attention to the oldests!! I have the same situation with my sister. Shes a junior going on senior and right now is running around ireland with no money and a bike with no breaks, sleeping in fields and drinking like a fish (The ultimate vacation in my family) I, on the other hand, just graduated and didnt even get a gift. We did runaway together a few years back and that changed some things, but i still get the short end of the stick. I hope some parents read this and change their thinking! !